I’ve been living with diabetes for over three decades, and have helped numerous clients to a happier, healthier life with diabetes. I’ve come a long way since my own diagnosis, and have made it my mission to inspire and help others to thrive with and despite diabetes. Using easily understandable information, immediately applicable action steps, and a bucket full of stories and experiences to share, I’m eager to present all of my light hearted, inspiring insights with the world. Because of my invisible illness, I know what it’s like having to motivate yourself to keep going. I use all the knowledge I’ve gathered from my training as a nutrition coach, my own extensive studies, as well as my personal and professional background to create content that is informative, inspiring, yet based on the latest science. Book me for a thought-provoking talk about diabetes for your workshop, event, conference or organisation. Out with the dusty diabetes advice that everyone “has” to follow but rarely works. In with the new, healthful, incredible things that you can do to feel your absolute best in life. Learn the key actions needed to lower your ever-so-important HbA1c level. Some are easier than you may think! How I went from a double digit A1c to pre-diabetic levels. What happened, changed and encouraged me on my way? 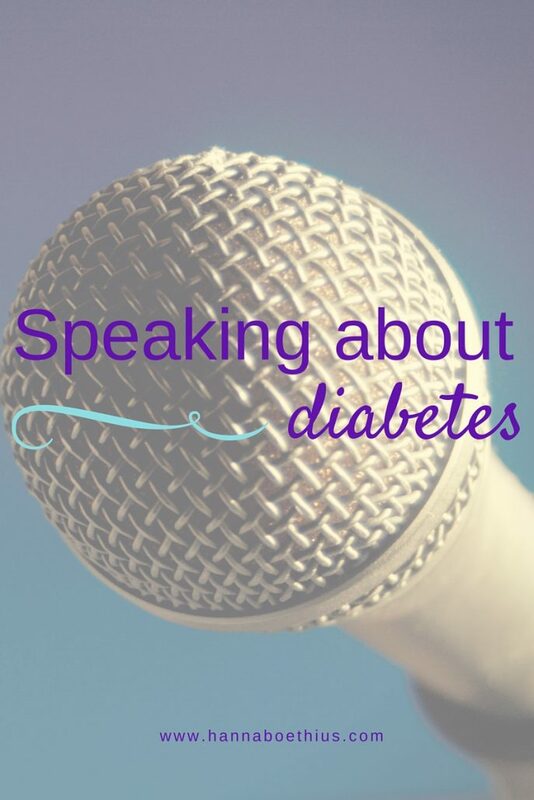 What advice are diabetics told today? And what easy steps could turn the whole experience upside down? Your doctor means well when he or she cites the textbook version of diabetes that they’ve learned. But does it all work in practice? How can you make your life with diabetes so much easier than it is today? Food labels are not that different from jungles, really. What should you keep a look out for? What is marketed as ba, but is actually good for you? What is actually the truth about fat and cholesterol? Are there any good fats? What about the “bad” LDL cholesterol, shouldn’t we all be on statins? Stress is the mother of all unrest, even uneasy blood sugars. Learn powerful techniques that help your whole system relax and purr with ease. If you’re interested in finding out how to book me for your next meeting or event, simply email me at me@hannaboethius.com and I will get back to you with more details. In the meantime, you can read my official biography here.